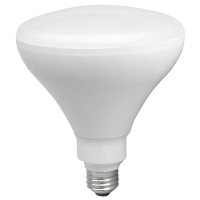 Ideal for dimmable BR40 flood and spot light applications. Exceeds all Industry performance standards. Smooth, uniform dimming from 100% - 0.5%. Highly efficient LEDs and Driver. Consistent color within 3 MacAdam ellipse tolerance.